Magnetic resonance imaging (MRI) using high static field (>3T) generates high-quality images, thanks to high homogeneity in transmission as well as high signal-to-noise ratio (SNR) in reception. On the other hand, biological effects are proportional to the magnetic field strength and moreover the diagnostic accuracy is not always linked to high-quality imaging. For these reasons, the interest in low-field imaging becomes greater, also because of cheaper setting, greater patients comfort and more safety profile. 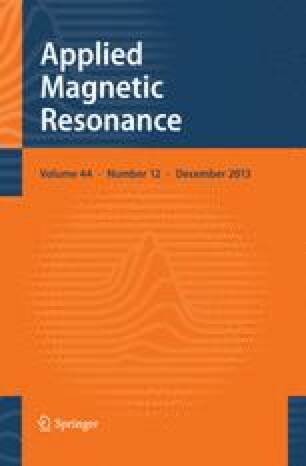 In simple cases, as for surface coil, the coil performance is evaluated using classical electromagnetic theory, but for more complex geometry and in presence of a sample, is more difficult to evaluate the solution and often is necessary to follow a trial-and-error approach. Numerical methods represent a solution to this problem. In this work, we performed numerical simulation on a two-channel knee coil for low-field (0.5 T) MRI scanner. We are interested in seeing the effect of a sample placed inside the coil on the sample-induced resistance and decoupling between channels. In particular, we observe how the position of the sample inside the channel influences the resistance value and for performing this we compared an innovative method based on the exponential fitting on voltage oscillation damping with a validated method (estimation using quality factor). Finally, for the complete coil, the scatter parameters were calculated in loaded and unloaded conditions.